How do we create safe, sustainable rural communities? The most effective rural development hinges on improving environmental practices at every level – households, organizations, businesses and communities. If we plan now for sustainable rural communities, we have an opportunity to turn our green economic and environmental values into positive actions that protect and improve rural living. As is true anywhere, having a safe, healthy, productive environment makes good sense. And to fail at that goal becomes a very clear mistake in a rural setting where farming, ranching, safe housing, clean water and access to recreation are so quickly impacted when environmental problems arise. On an island, the feedback loop is even short – we live with limited geography and limited resources. Caring for them wisely, and with foresight, really does make the best sense. But where do the resources come from to help us rethink our values and implement wiser policies? 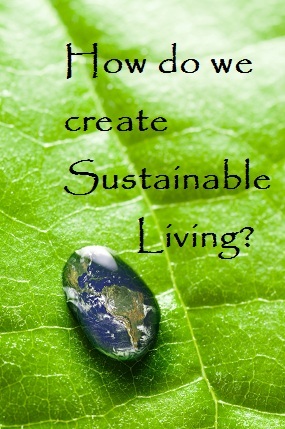 How do individual households find help accessing resources that promote green living? How do farms and small businesses learn to conserve energy, lower their costs of operation, and increase their customer base to ensure economic sustainability? The answer to these questions is most often a non-governmental organization that serves as an interface – actively finding, matching, and bringing solutions to those in need. That is the rural development and education role of One Island and our inititiatives like The Same Canoe Local Food Challenge and Turtle Island Farm Alliance. The majority of Hawaii is designated as rural and on the Island of Hawaii we have many small, remote rural communities living in high levels of poverty and with out basic utility services most cities take for granted. Fuel and energy can cost 4 times mainland prices. Food costs are among the highest in the nation. Water is not universally available and disease risks from catchment water are a factor. One of the greatest surprises is that areas of Hawaii actually can be considered Food Deserts – even though many foods ‘can’ grow here, the knowlege of how to grow it, soil to grow it in, and people educated to grow food locally has only recently begun to see a change from a steady decline. Grocery stores can be over 30 miles away. With over 80% of our food and fuel being imported from 2,500 or more miles away, Hawaii residents live in a very tenuous situation. One Island’s programs include resources providing: education in locating and qualifying for rural community grant funding, techniques for greening and growing small businesses, and when possible, financial resources and grants. We are focused on making a positive contribution towards building a local green economy as a foundation cornerstone for sustainable living.